Notts Hollinwell has a long, proud and distinguished heritage which dates from the club’s origin in 1887 on Nottingham’s Bulwell Common to the current heathland course at Hollinwell in 1901, which sits so beautifully in the heart of Byron country and within the historic boundary of Sherwood Forest. Legend has it that Robin Hood sat on the hillside rock above what is now the 2nd green. Just beyond the 8th tee lies the the Holy Well from which the course derives its name and which for centuries, provided refreshing spring water for the monks of Newstead Priory and now for Hollinwell golfers. Currently ranked as the UK’s 36th best course by Golf World Top 100 and by National Club Golfer as an England Top 19 course, the club continues with the widely acclaimed course and environmental improvements accomplished over recent years and may well rise further up the rankings. Notts Hollinwell has held many prestigious professional and amateur tournaments and in 2019 the club will host Final Qualifying for the 148th Open at Royal Portrush. The club’s professionals have held Open Championship records and most unusually for a club pro, played in the Ryder Cup. Golf Club Atlas founder Ran Morrissett just ranked Notts Hollinwell 32nd of 147 courses worldwide "that embrace the simple virtues of the game" on his inaugural list of Custodians of The Game. The main qualifying criteria is "When you walk off the 18th green, you should feel invigorated rather than exhausted, and the allure of returning to the 1st tee is strong". 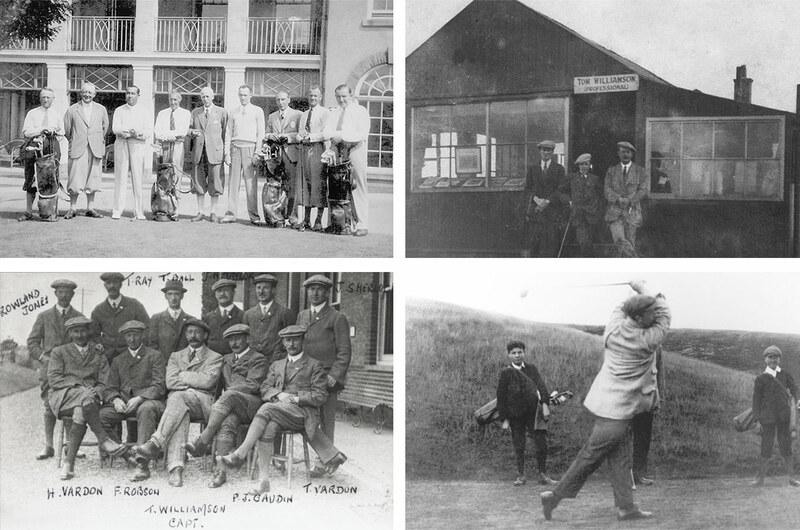 The club has fascinating connections not only to ancient monks, Robin Hood, Sherwood Forest, the Ryder Cup and The Open but also to Charles Darwin, Sir Nick Faldo, Sir Peter Alliss, Matt Fitzpatrick and unique world records - read on to discover the amazing heritage of Notts Hollinwell.